I Reach Out to You; Will You Reach Out to Me? One could be overwhelmed with the sadness and the violence that is all around us. I can only imagine what it must be like for others who have experienced it first hand. 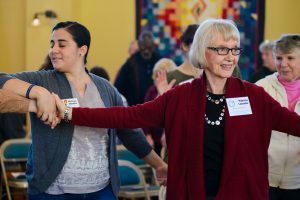 What can Unitarian Universalists do to fight against the hate that is going on in the world today? I think a lot of the hate is born out of oppression. It leaves people feeling powerless and desperate, with nowhere to turn. Hate is invited in when you are oppressed, unloved and have little to loose. What I suggest is, love. We need to radicalize love. Where do we begin? It seems to me that the only place we can begin is with our own hearts. I must begin with myself. Am I willing to allow love into my heart? Am I willing to look at creation lovingly? Am I willing to manifest more love in the world? When I fail to be as loving as I should be, am I willing to forgive myself? Am I willing to forgive others? Can I set loving boundaries around behaviors that I find draining or destructive? Can I remain firm, yet act lovingly as I set healthy boundaries? How might radicalized love help me to be in deeper community? It is in community that we will have our greatest impact. I am not talking about a community of like-minded people, or a social club, or a discussion group. I am talking about full mind, body and soul community. Dr. King’s Beloved Community is a global vision, in which all people can share in the wealth of the earth. In the Beloved Community, poverty, hunger and homelessness will not be tolerated because international standards of human decency will not allow it. Racism and all forms of discrimination, bigotry and prejudice will be replaced by an all-inclusive spirit of sisterhood and brotherhood. In the Beloved Community, international disputes will be resolved by peaceful conflict-resolution and reconciliation of adversaries, instead of military power. Love and trust will triumph over fear and hatred. Peace with justice will prevail over war and military conflict. This is beautiful and it seems to be so far away. I went on line and looked up The Beloved Community. I found a wealth of information. Josiah Royce is quoted, as is Dr. King. There are sermons from all across our Association. It is compared to The Kingdom of God, Utopia, Nirvana and the harmony of all life. We say that we are growing Beloved Community but it is easy to mistake a community where I am comfortable for Beloved Community. A community that is merely comfortable for those already there runs the risk of being the walled city on the hill. Dr. King’s Beloved Community is a global vision. We cannot get there in small pockets. Therefore, the Beloved Community cannot happen merely inside a congregation. Inside the congregation is where we are fed so that we can carry out the real work in the real world. Inside the congregation is where we practice the loving promise – our covenant. Inside the congregation is where we are challenged to become, and become and become yet again. Inside the congregation is where we can lay our burden down for a moment and find comfort, but only for a moment. We must go out into the world and love there too. Our congregations do not exist in isolation. Our congregations exist in this world, this imperfect human world. This imperfect world where basic needs go unmet. This imperfect human world where oppression is the water in which we swim. In this world of imperfection, what can we hope for? What is to be done? How can we make a difference? Where do we begin? What can we change? Again, we begin with ourselves, as we are. We begin with a change of heart. I reach out to you; will you reach out to me? 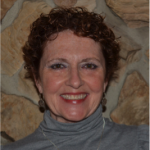 Connie Goodbread is a credentialed Director of Religious Education, has held every lay congregational leadership roll you can imagine and has served our UUA in Northern New England, St Lawrence, Florida and Mid-South Districts – all while living in Palm Harbor Florida. The commute was amazing.